Give us a roar, we’d love to hear from you! 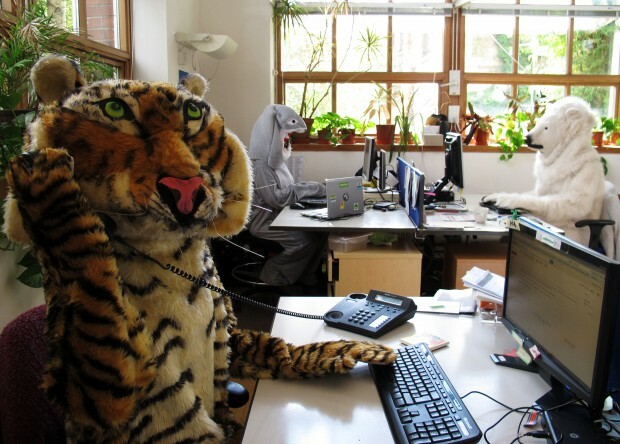 We’re a passionate bunch who love to talk about Greenpeace’s work, but if you want to save yourself some time, please take a look at our FAQs before getting in touch – the answer to your question may already be there! We’ve got loads of info on our website and FAQs – take a look as your question may have already been answered! Our phone lines are open from 9 – 5:30pm Mon-Fri. Call us on 020 7865 8100/0800 269 065 and say hello! Please note: Calls may be recorded for quality monitoring purposes. Join the conversation on Twitter, Facebook or Blog. If you have a complaint about our fundraising or any campaign communications, please contact us at supporter.uk@greenpeace.org or 020 7865 8100/0800 269 065. Your comments are very welcome as they help us keep our standards high. We will investigate thoroughly any problem that you have helped us identify. Thank you.